Travelling to exotic locales while posing as a tennis pro and his trainer, intelligence operatives Kelly Robinson (Robert Culp) and Alexander Scott (Bill Cosby) take on the espionage community with both grit and lighthearted banter. 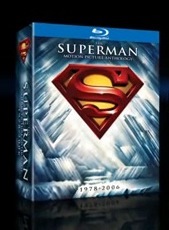 This 18-DVD box set contains all 82 episodes of the award-winning series, and is the first time the show has been available as a complete series set. Groundbreaking drama in style and substance with a "semi-documentary" format that told gripping stories of real-life in the big city. Starring Paul Burke, the show features many great guest stars including Gene Hackman, Robert Redford, Leslie Nielsen, Peter Fonda, William Shatner, Dustin Hoffman, Telly Savalas, James Caan, Christopher Walken, Martin Sheen Carroll O'Connor, Jean Stapleton, Robert Duvall, Dennis Hopper, Jack Klugman and many more. Robert Redford and Criterion start getting us geared up for Vancouver 2010.